Do you want your users to use Firefox opensearch? 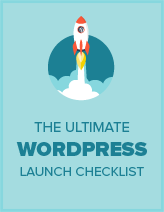 It’ll help replace the general search engines like Google and Firefox with your WordPress blog. While there’s probably a plugin for this, we have created a quick code snippet that you can use to allow users to change search option and select your blog. Add this code snippet in the header.php file of your WordPress theme. Make sure to replace ‘mysite.com’ with your website URL in both the code snippets. If you liked this code snippet, please consider checking out our other articles on the site like: 20 best WordPress church themes for expanding the flock and how to start a blog. Once added you can then select your site as a search plugin like Google, Bing and Wikipedia etc. Whoa, good call Dale I completely forgot to add this in the sample, thanks!